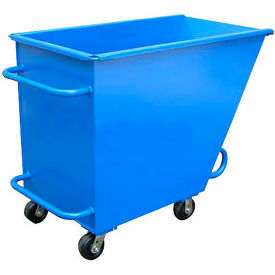 Steel Tilt Trucks Are Used For Applications Including Maintenance, Waste Management, Sanitation, And More. Steel tilt trucks are made of powder coat steel for long lasting durability and corrosion resistance. 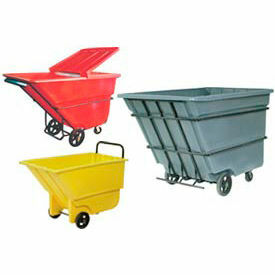 Trucks are designed for collecting bulk content and waste for convenient transport and disposal. 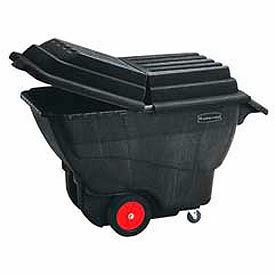 Includes twin handles and tilt guards for ergonomic handling and dumping control. 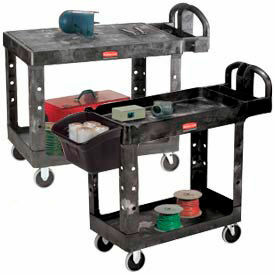 Features swivel casters for convenient mobility and maneuverability. Cubic yard capacities range from 0.3 to 1.5. Weight capacities range from 360 to 2000 lbs. Wheel diameters are 3", 4", 5", and 6". Color finishes are Black, Blue, and Gray. Dimensions vary per model.